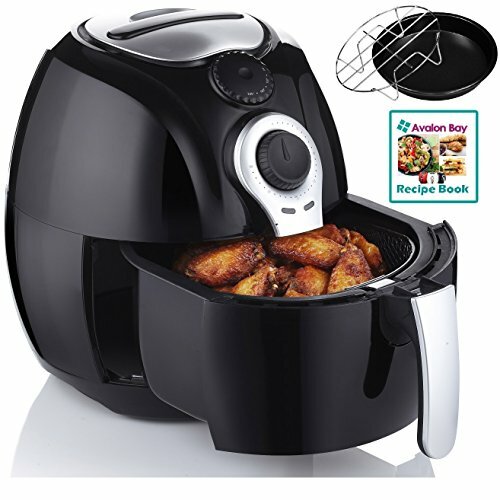 Avalon Bay AB-Airfryer 100B is one of the best air fryers that you can afford. It comes with a host of preset options, as well as an adjustable temperature control. You will also get a free cookbook when you purchase. So how exactly does the Avalon Bay AB-Airfryer work? What is air frying? Simply put, this device uses hot air to cook your foods rather than oil or grease. Most fryers rely on a bucket of hot vegetable oil to cook meals. Instead, this gives you the same flavor and texture without using a drop of oil. The secret is its Rapid Air Circulation Technology. The device heats up remarkably fast and uses the superheated air to heat and cook your food. Because the air is so hot, it creates a crispy, toasty layer around your ingredients, which gives it the same texture as fried food, without the fat. The only oil or grease that AB-Airfryer uses is anything that drips down into the machine itself. For example, if you are cooking chicken wings, the juice that drops into the device will get swept up and used to help cook the meat and keep it tasty. Overall, you can cut your calories significantly by using this machine. What sets the AB-Airfryer apart from the pack is not only its dependability and rapid cooking times but also the fact that it looks stylish. First of all, the unit is compact, meaning that it can fit anywhere on your counter. 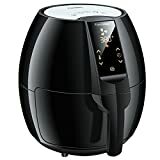 Second, you can get the air fryer in one of three dynamic colors: black, white, or red. If you want even more durability, you can opt for the stainless steel version, which will outlast the standard model and be easier to clean. 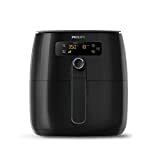 Even though it’s called an air fryer, the fact is that this device is so much more. In addition to making your favorite fried foods, you can roast or bake in this machine. The AB-Airfryer comes with a non-stick baking pan so you can make cakes, pastries, and a whole lot more. To increase your surface area, the unit comes with a wireframe rack so you can place items on top and beneath it. You can use the rack for baking or cooking, whichever is best for you. As far as frying goes, the machine comes with a detachable metal mesh basket so you can transfer from the fryer to your plate quickly and effortlessly. 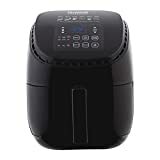 Another reason that the AB-Airfryer is so versatile is that it comes with a host of preset options, as well as an adjustable temperature control. That means that you can set it for super hot air for frying, or a medium temperature for baking, and a low temperature for roasting. No matter what kind of food you want to cook, you can make it in this incredible machine. To help you even further, the air fryer comes with an integrated thirty-minute timer. The best part is that it will go into standby mode as soon as the timer finishes, meaning you don’t have to keep an eye on it all the time. Because you’re new to air frying, you may be wondering how you can get the most out of this device. Thankfully, Avalon Bay is providing you with a comprehensive cookbook so that you can learn how to make delicious meals with one machine. Now you can not only make your favorite dishes but also experiment and get creative. Because this machine sits on your counter and not on your stove, safety is going to be a concern. Fortunately, Avalon Bay has you covered with advanced safety features that will keep you and your family safe from burns or accidents. The machine has a stay-cool surface, which means that you won’t accidentally burn yourself on the outside. Second, it comes with an automatic shutoff function, meaning that once your food is cooked, you don’t have to worry about it overheating or burning your food. It will turn off by itself. Finally, the device has non-slip feet, so you don’t have to worry about knocking it over by accident.